Marine vector footage of sailing ships. 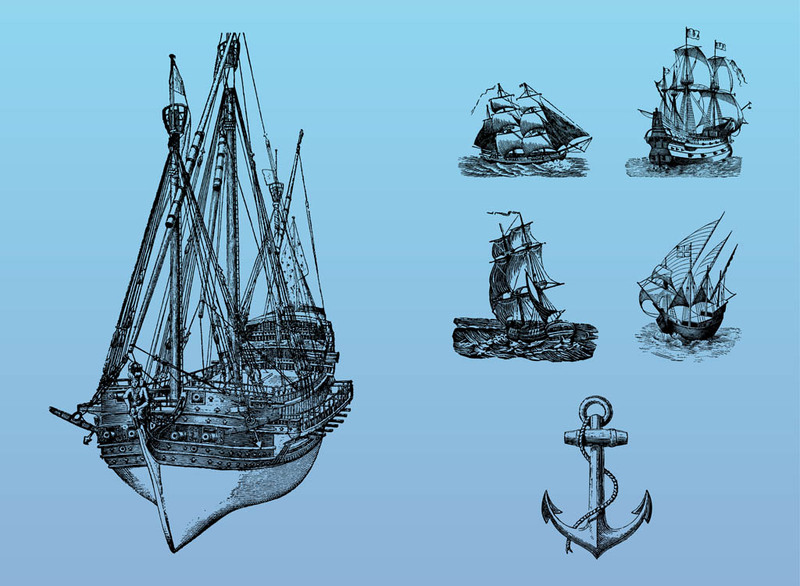 Hand drawn antique graphics of different vessels, seawater and a big anchor. Free vector footage to design sea, seaside, sailing, trade ships, marine vessels, water, ocean, aquatic transport and traveling visuals. Ships for posters and vintage wallpapers. Tags: Anchor, Antique, Hand Drawn, Marine, Sail, Sailing, Sea, Ship, Water.